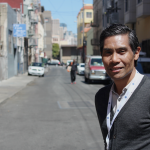 The Tenderloin Center of Excellence (TACE) was acquired by San Francisco Community Health Center (SFCHC) in 2012 to serve people living with HIV who were affected by homelessness, whom the traditional medical system had failed, by providing drop-in services. A drop-in center was established where clients could come spend time with community, eat breakfast, watch TV, use the internet, make phone calls, participate in art therapy, attend support groups focused on mental health and harm reduction, and access case management and navigation. Goals of the program were holistic and included a heavy focus on engaging clients in HIV primary medical care. 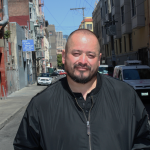 Throughout, TACE collaborated with Tom Waddell Urban Health Center (TWUHC), serving as the medical home for many of the clients, and in 2015, TWUH opened onsite satellite drop-in clinics at SFCHC that aligned with existing drop-in programming, allowing clients to see their medical providers on site. Medical engagement thereafter increased dramatically. This model continues today. In addition to broader services, TACE providers specialty care and space for Asian and Pacific Islander (API) identified clients living with HIV, some of whom have been engaged in SFCHC services since the agency’s inception; this programming includes psycho-educational groups, SFCHC’s monthly Joy Luck Club, and a designated API clinic. 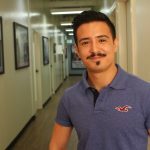 TACE seeks to engage and retain clients, in holistic, client-centered HIV primary care by supporting them through various components of their lives (medical, housing, mental health, substance use, nutrition, legal, etc). Some of the elements the program measures include visit frequency, antiretroviral adherence, and viral load suppression on the clinical side and construction and examination of treatment plans, mental health assessments, and substance use assessments on the social service side. Clients of TACE include people living with HIV who have experienced homelessness or are at risk for homelessness. Clients represent communities of color, immigrants, the LGBT community, and people who have experienced trauma. This program is designed for Asian and Pacific Islanders who are living with HIV.